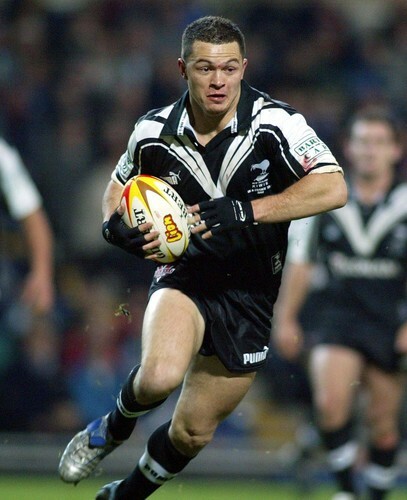 Guest blogger: TXM Ambassador, former New Zealand international rugby player and Super League winning captain Robbie Hunter-Paul. Between the Super League seasons of 1996 – 2005 Hunter-Paul lead his Bradford Bulls team to 4 Super League Titles, 3 League Leaders trophies, 2 Challenge Cup wins and 2 World Club titles. Let me start by saying leadership is leadership and whether you are directing a team of all-star recruitment consultants or all-star rugby players into a Grand Final, the core attributes of leaders are pretty much the same. I have to admit I’ve always been a student of excellence consuming biographies and autobiographies with great hunger and exposing myself to real life mentors my entire life. Throughout my journey as an athlete I had to quickly learn leadership skills with the responsibility of Super League club captaincy thrust upon me at the tender age of 19. I was blessed to have a number of experienced international players alongside me and a number of world class managers, coaches and trainers to learn from and they were all great leaders in their own right. Over the years I was able to distil the lessons from relationships, books and my real-life business and sporting mentors down to what I recognise as ‘6 core attributes of leadership’. Attributes that I repurposed and used on the field of play and have now taken into the world of business. In James Kerr’s business book: Legacy: 15 Lessons in Leadership, Kerr describes how the All Blacks, the most successful international sports team in history boasting a win rate of well over 80%, embraced a core value of ‘good people make great All Blacks’. Being good and having the right attitude and outlook is not only refreshing but it is also an extremely attractive personality trait to have as a leader. We are attracted to happiness as it suggests health and wellbeing, as well as fun and success. Good leaders are also found to be humble. Their attitude drives them to care about individuals, they listen to their team and express how keen they are to embrace ideas from other people, empowering them in progress. When you empower people, you become a person that other people gravitate towards. In the end you will have a stronger cohort or network of talent to choose from and more willing audience to go to battle for you. The philosopher Aristotle famously said “The whole is greater than the sum of its parts”. For a leader this is the ultimate goal of leadership, the creation of synergy. When you can help your workforce complement each other to the point that their collective efforts integrate and combine to amplify its output, then your team can achieve greatness. There is famous New Zealand Maori (indigenous people of NZ) saying that goes “He aha te me nui o te ao, he tangata – he tangata – he tangata” which translates to “When asked what are the important things of life, I reply – it is people – it is people – it is people!”. The key to the creation of synergy as a leader is to understand the unique strengths of your individual people and help them call upon their talents consistently by creating an environment where they flourish. Your people are the fuel that drives your engine so by keeping them at the heart of your decision making you’ll keep the pistons firing. Set out your vision: your ultimate goal and where you want to lead your team. Start by making sure the outcome is achievable and immerse yourself in the vision and importantly show your people you believe in it. Where you can, create an emotional narrative for your vision and share that narrative with your team. Let them know how they will each be the most important cog in achieving the goal. Embed your team with that emotional attachment for the vision. Let it become their goal as much as possible, so when they join the journey, they have ownership and can identify with the end goal. Think forward! Great leaders map the future. They look into the market place understand where it’s been, where it is now and have made an assessment for where it will be tomorrow. Strategize where the business will be short term and long term and then figure out the tactics and steps you will need to take to keep you and your team heading towards the goal. No one said leading would be easy! As you are reading this blog then you’re probably doing it because you are ready to take the step up to leadership or are already a leader looking to gain insight, so note, be brave as there will be some risk. Leadership demands you take decisive actions when called upon. You make the hard and tough decisions and you need to have the conviction to follow it through until the very end. You’ll be asked to use your intuition and experience to find solutions often, but rest assured there is a reason you have the job of being the leader: because you either deserve it or will prove you deserve it. With this in mind it means you will first need to accept the responsibility of the position and everything that it entails. In the immortal words of Uncle Ben from Spiderman: “With great power comes great responsibility”. Great leaders learn to focus and be relentless in their pursuit of their vision. They can keep themselves and the team on task, avoiding distractions that can knock the ship off course. We live in an age where our attention is constantly under attack from social media, emails, advertising and life. Focussed leaders can absorb all that the world has to throw at them and still be resilient enough to compartmentalise distractions and keep the team pointed in the right direction. To find out more about job roles here at TXM Recruit click here and contact one of our team.